“It´s time to GO FOR GOLD! 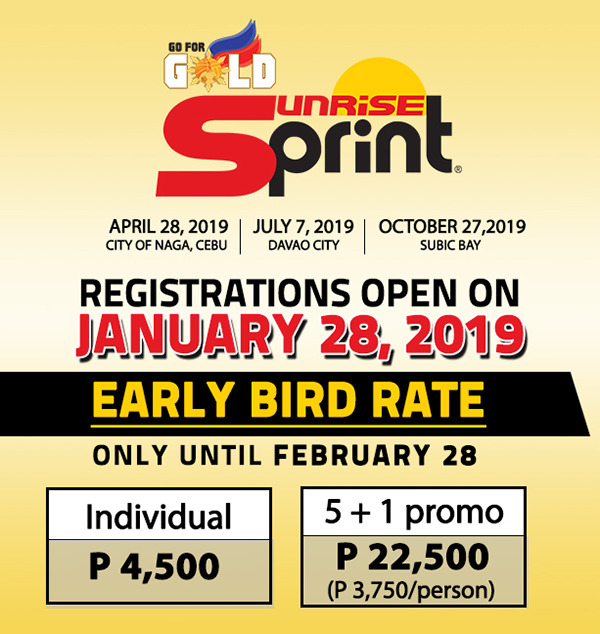 Registration opening for the 2019 Go For Gold Sunrise Sprint is on January 28, 2019! Beginners, veterans and IRONKID graduates are all welcome to join the 750m Swim, 20KM Bike Ride and 5KM run! We´re challenging all triathletes ages 15 years old and up to do their first ever triathlon – or their fastest ever sprint! 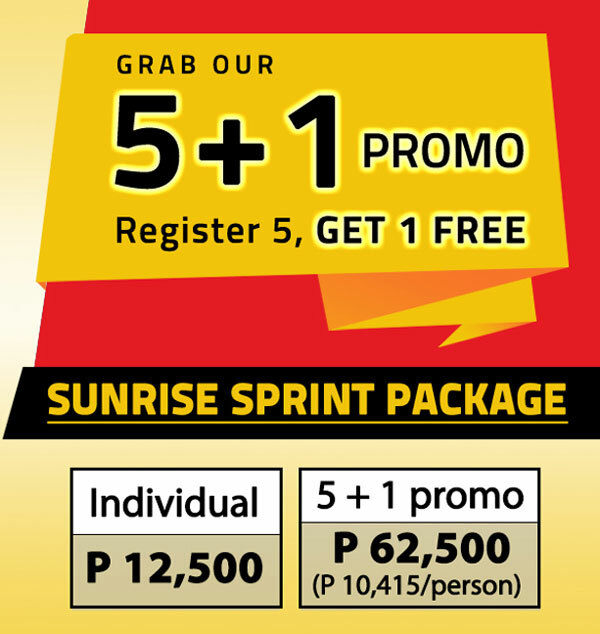 Choose to race in Subic Bay, Cebu or Davao or save up on money and choose to race all three with the SUNRISE SPRINT PACKAGE! Register with 5 other friends and get 1 slot free with the 5+1 promo! For aspiring triathletes with no pro license yet, bring your A–game and beat out the competition at the OPEN CATEGORY! The best of the best will be given a special contract from Go For Gold! Stay tuned for more details!